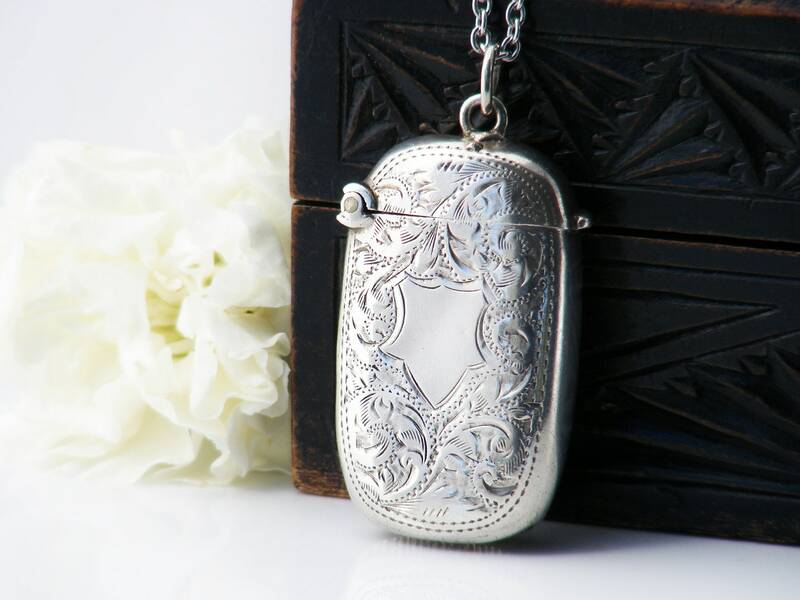 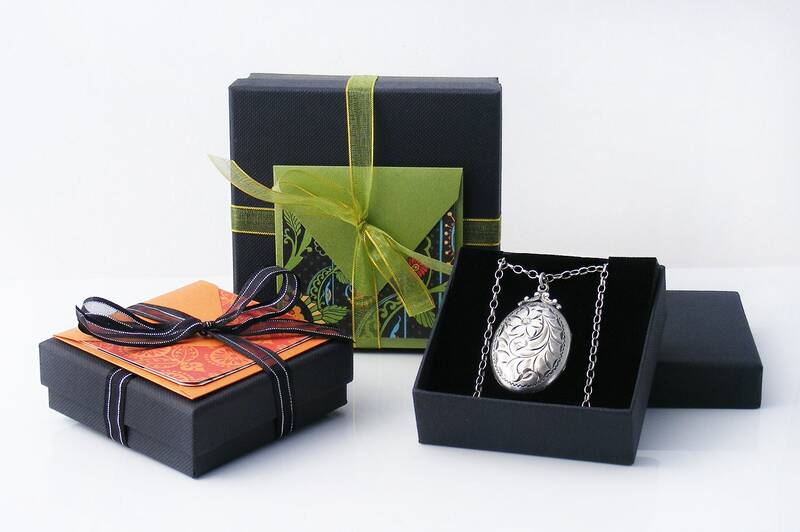 The locket has a classic hand chased pattern of acanthus leaf scrolls on both side. 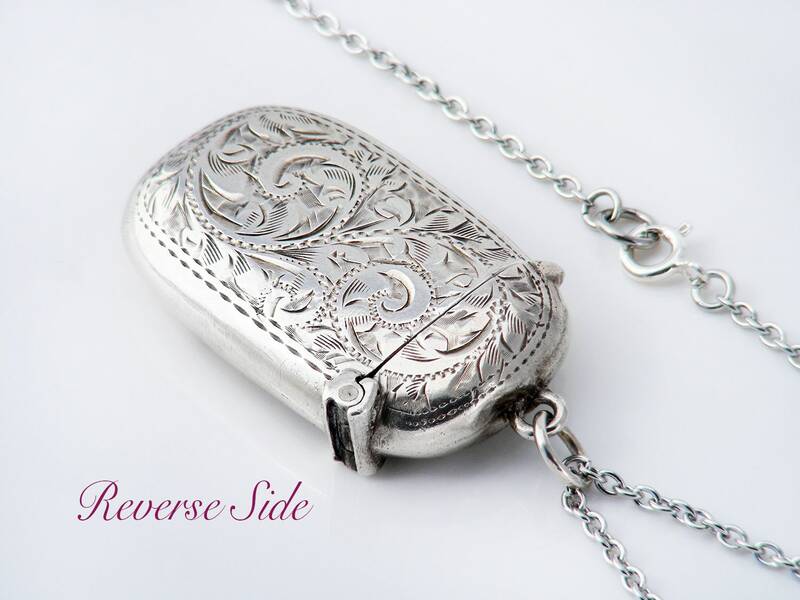 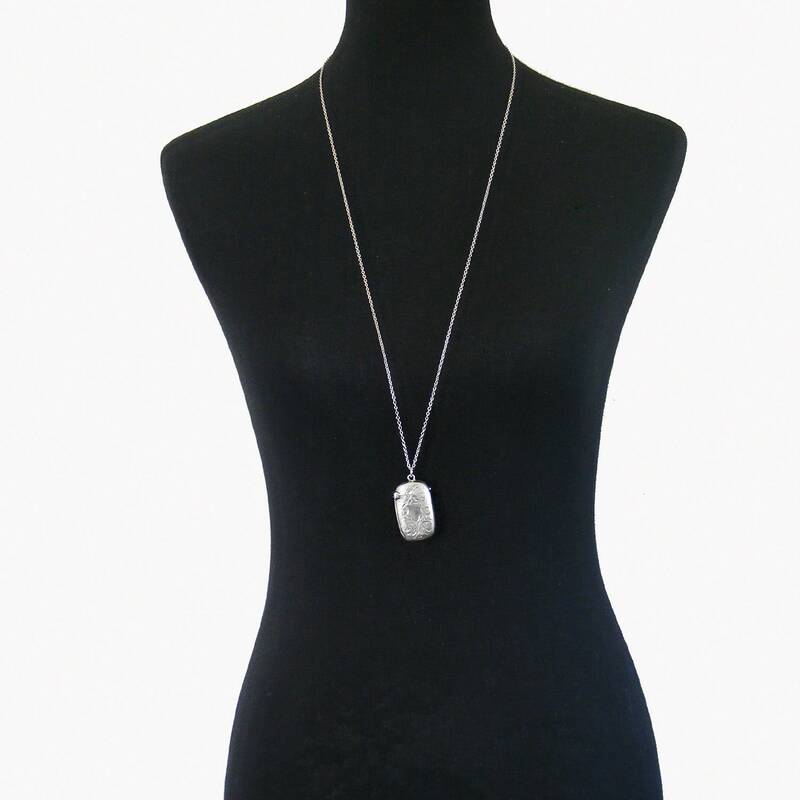 Nicely rounded, smooth and a lovely size for a pendant, it is wonderful to handle. 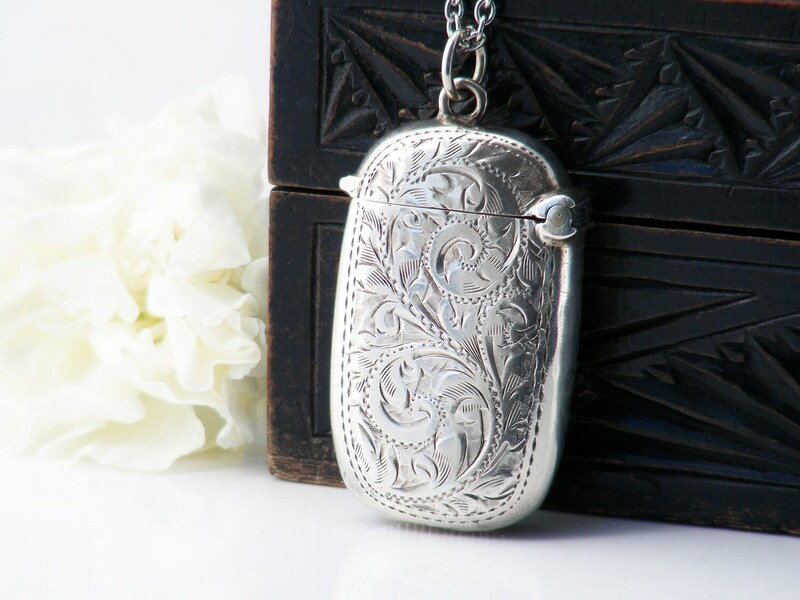 Sterling Silver: The vesta case has full hallmarks for sterling silver from Birmingham, England and the year 1902. 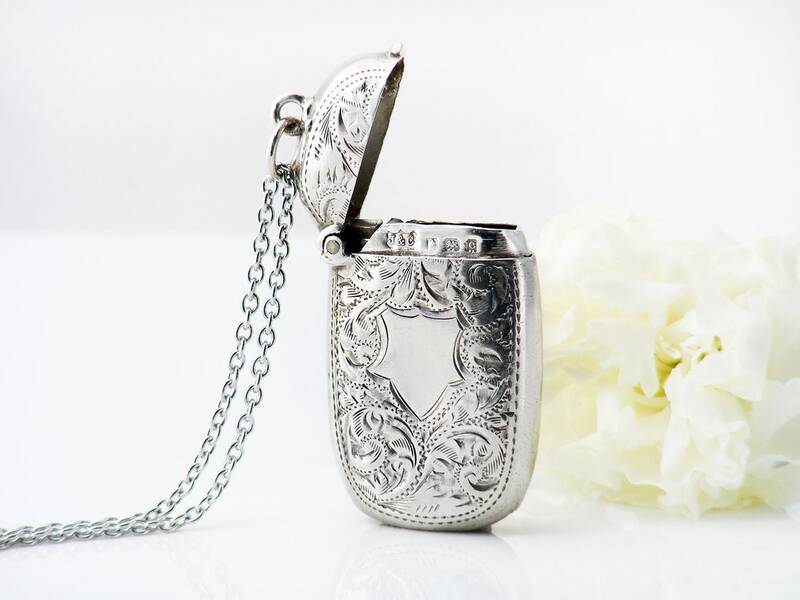 The maker's mark 'J&C' is also present. 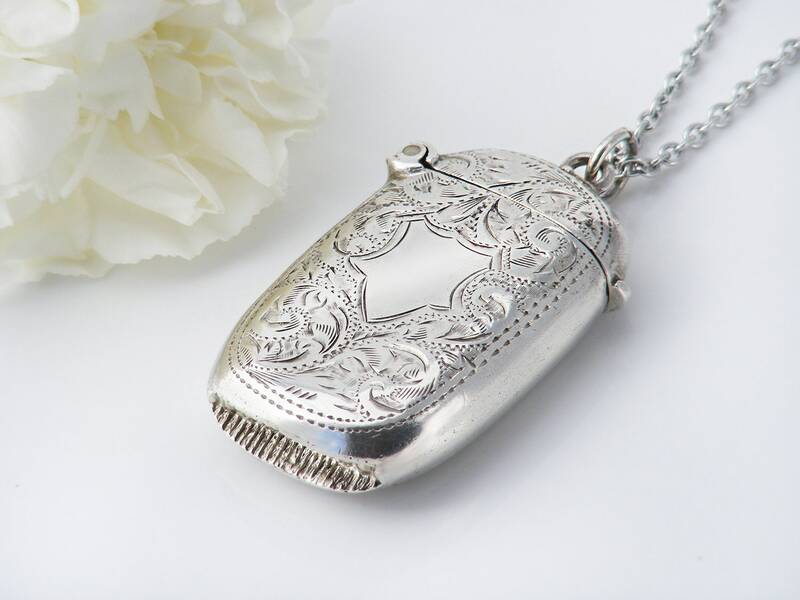 An Edwardian vesta case in lovely condition, a perfect size for a unique locket.